Aced Poker (www.Aced.com) opened for business in the Fall of 2008 and came out of the gates running. Just two years later, Aced Poker is already a premier poker destination for both new and experienced poker players. The site was launched on the Merge poker network and benefited from an existing player base plus all the new players Aced managed to bring on its own. Although Aced isn't the biggest poker room, they are one of our favorite online poker rooms because of their top notch software, solid payment processing, and innovative "Outs" rewards program. Aced accepts all USA players and accepts credit card deposits, so it's easy for anyone to get started. Plus, if you sign up at the Aced poker room through any of the links on this page, you will automatically receive a special 100% up to $600 bonus. The poker room still has a long ways to go before its player traffic rivals the big boys, but it’s off to a solid start. A rewarding deposit bonus and innovative software design continue to help Aced Poker bring more players to the site. I’d be willing to bet good money that we’ll be hearing a lot more from Aced Poker as time goes on. As a part of its continual quest to attract new players, Aced Poker is currently offering all players a 100% bonus on their first deposit at Aced. This bonus will double your first deposit there up to a maximum of $600. For example, a $400 deposit will be rewarded with an additional $400 bonus. The bonus money is released in $5.00 increments as you play real money poker games, and you have 60 days to clear the entire bonus. The bonus requires that players earn 250 VIP Points per $1.00 of bonus before the bonus money is released. The higher stakes you play, the faster the bonus is released. Read on to learn about earning VIP points and clearing the Aced poker bonus. In tournaments and sit and go's, players earn one VIP point for every $0.10 paid in tournament fees. So, if you enter a $50+$5 tournament you will earn fifty VIP points. The software’s simple graphics hide a surprisingly feature-rich experience. 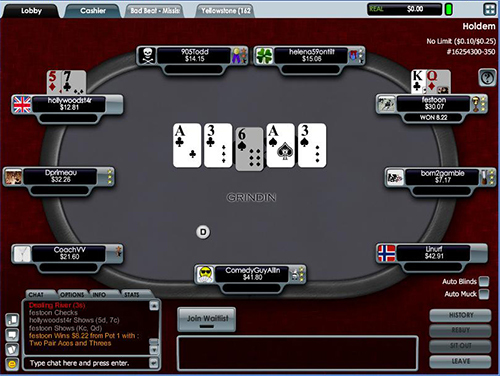 There are all sorts of unique features such as the ability to “deal it twice.” If two players get all-in on the flop and agree to deal it twice, the software will deal the turn and river cards twice and give each player a chance to win twice, lose twice, or break even, depending on the two separate outcomes. Poker pros have been “dealing it twice” forever in live games and Aced was the first poker site to bring it to the Internet. The tournament offering at Aced is great for casual players but the action gets a little sparse above the $100 buyin level. One of the most popular tournaments at Aced Poker is the weekly Sunday $50K Guaranteed. The tournament costs $109 to enter and Aced ensures the prize pool never falls below $50,000. 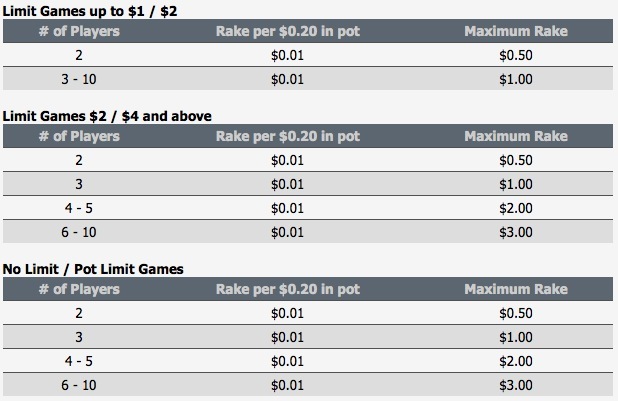 Small and medium stakes players will find a wide array of options in tournaments between the $1 and $50 level. Traditional tournaments are always a safe bet, but there are also shootout tournaments, bounty tournaments, and satellites to major live events. There are even “flipament” tournaments for the action junkies out there. The idea behind a flipament is simple: everyone goes all-in every hand until only one player is left standing. Sit-n-go tournaments range from $0.60 up to $415. The action is thick at the lower limits but starts to taper off around the $50 level. Tournaments do run at the higher levels but they aren’t nearly as numerous as all the small and medium stakes tournaments. Both Texas Hold'em and Omaha are available at all stakes. The people at Aced Poker have improved traffic greatly since 2008 but they still have a ways to go. Anywhere from 3,000 to 6,000 players can be found online at any given time. Although that’s way more players than you’ll ever find in a live poker room, it’s not nearly as many players as you’ll find at some of the other poker sites. On a positive note, the players at Aced Poker are generally weaker than at the larger poker sites. Smaller poker sites such as Aced Poker tend to attract more casual players who aren’t as obsessed about extracting every little edge possible. As a result, Aced Poker is a great place for newer poker players. There are also a few country-specific deposit methods depending on where you reside. When it’s time to make a withdrawal, players can either receive their funds via eWallet or paper check. Aced Poker doesn’t even try to process credit card withdrawals because they are so hit and miss. If you have an extra large withdrawal to make, you can contact Aced for more advanced withdrawal options. The support system at Aced Poker is decent but it could use a major upgrade. As of right now, the only way to get a hold of the support team is to fill out a web-based contact form. A 24 hour phone support option would be nice but few poker sites have such a thing. Hopefully Aced will consider adding a phone line as they get more established and continue to build a large player base. Ready to Play? Visit Aced Poker to Get Started Now! Now that you know everything about Aced.com, it's time to get started at the poker room. Visit Aced Poker through any of the links on this page to automatically receive our exclusive 100% up to $600 sign up bonus.